A sash window or hung sash window is made of one or more movable panels, or “sashes”, that form a frame to hold panes of glass, which are often separated from other panes (or “lights”) by glazing bars, also known as muntins in the US (moulded strips of wood). Although any window with this style of glazing is technically a sash, the term is used almost exclusively to refer to windows where the glazed panels are opened by sliding vertically, or horizontally in a style known as a “Yorkshire light”, sliding sash, or sash and case (so called because the weights are concealed in a box case). The sash window is often found in Georgian and Victorian houses, and the classic arrangement has three panes across by two up on each of two sash, giving a six over six panel window, although this is by no means a fixed rule. Innumerable late Victorian and Edwardian suburban houses were built in England using standard sash window units approximately 4 feet (1.2 m) in width, but older, hand-made units could be of any size, as the image illustrates. To facilitate operation, the weight of the glazed panel is usually balanced by a heavy steel, lead, or cast-iron sash weight or counter-weight concealed within the window frame. The sash weight is connected to the window by a braided cotton sash cord, or a chain, that runs over a pulley at the top of the frame, although spring balances are sometimes used. Breakage of this cord requires disassembly, or destruction, of the trim pieces to gain access for repair. The term “sash windows” is used interchangeably with the term “box sash windows” in the United Kingdom, and frequently used to describe the same thing. 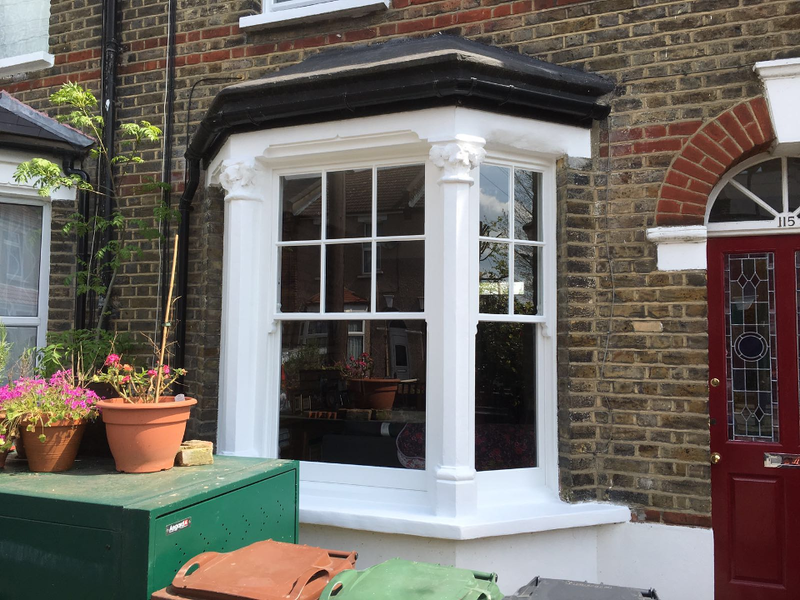 Historically box sash windows are heavier and more stately in nature than modern sash windows, but both terms are used within the industry when referring to the same type of window. The name “hung sash window”, which is more usual in the United States than in the United Kingdom, typically refers to a double-hung window with two sashes that can move up and down in the window frame. These windows are commonly found in older buildings in warmer climates, as they promote airflow and are easy to clean. A significant advantage of double-hung windows is that they provide efficient cooling of interiors during warm weather. 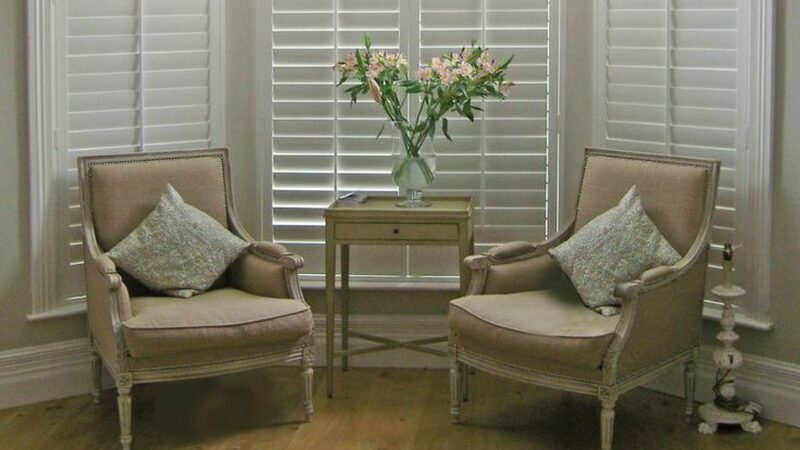 Opening both the top and bottom of a sash window by equal amounts allows warm air at the top of the room to escape, thus drawing relatively cool air from outside into the room through the bottom opening. A double-hung window where the upper sash is smaller (shorter) than the lower is termed a cottage window. Construction is usually of softwood, and these sashes were traditionally only single-glazed. Early sash windows were made from high-quality wood that has lasted generations and should, if at all possible, be repaired with similar-quality slow-growth wood rather than being replaced. The glass in old windows can be as important as the sashes themselves, varying from very early ‘plate’ or ‘broad’ glass to ‘crown’ or ‘cylinder’. Old glass is easily recognised by its imperfections (‘ream’) which give a degree of distortion both when looking through it and when looking at it from the outside. Of these, the only glass still currently being manufactured in the traditional way is cylinder. All other old glass is therefore irreplaceable and should be carefully conserved and/or protected before any work is carried out. Modern double-glazed sash windows are now available, but depending on their aesthetic style, can be frowned upon. Traditionally styled double-glazed sash windows will often attempt to mimic the original appearance through the use of non-functional muntins or “glazing bars”, which are applied to the surface of the glazing, and give the appearance that the sash is made up of several smaller panes, whereas in reality, each sash consists of only one large double-glazed unit. Traditional problems with solid wooden sash windows include rot, swelling or distortion of the woodwork or rattling in the wind (due to shrinkage of the wood). These problems can be solved by careful repair and the introduction of draught stripping. It is also a common problem for inexperienced painters (or experienced painters without any sash-painting experience) to paint the sash stuck. The sliding mechanism makes sash windows more vulnerable to these problems than traditional casement windows. Sash windows are relatively high maintenance, but offer advantages in return (style, aesthetics, abides by laws (relating to older houses and buildings), natural resources etc.). However, well-maintained sash windows should last generations without needing parts replaced. It is also possible to clean all the glass from within the building by sliding the two panes to different positions. uPVC or vinyl sash windows have become available since first being introduced in Germany in the 1960s. They have come to dominate the window industry with more than 50% of all window sashes being made of vinyl in the USA as of 2017. Vinyl sashes offer many benefits to the manufacturer and are generally the least expensive type of window for the consumer. The waterproof nature of plastic and ease of installation are also benefits. Problems include durability. Over time the plasticizer chemicals used to make vinyl sashes flexible evaporate leaving the material brittle and prone to breaking. Vinyl is also weaker than wood and aluminum sashes and requires extra support in large window openings. Vinyl is also used on wood windows as an outside cladding to protect the wood from the weather but allow the inside of the window to take advantage of the appearance of fine wood. Vinyl is also available in a large range of colours and textures although white is by far the most common. Vinyl is limited mainly to residential usage and low rise commercial due to its flammability and the toxic fumes it produces when burned. In the future fire rated versions of UPVC windows may be used in high rise construction, but currently flammability and toxic fumes are a significant obstacle. At Conservation Sash Windows, we specialise in exactly what our name says. We’re experts in replacing double-glazed sash windows in listed buildings or houses in conservation areas, where preservation and aesthetics matter even more than elsewhere. © 2008-2019 Webtexweb Design. All rights reserved.